Benjamin Millepied to leave Paris Opera Ballet... Is La Scala the new POB? Home › dance › Benjamin Millepied to leave Paris Opera Ballet… Is La Scala the new POB? Benjamin Millepied to leave Paris Opera Ballet… Is La Scala the new POB? 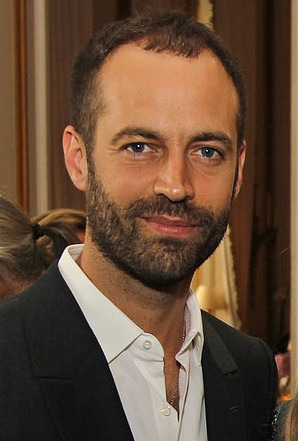 According to a report online in Paris Match, Benjamin Millepied is on the verge of leaving the Paris Opera Ballet. He took up the position as head of one of the world’s most celebrated ballet companies just over a year ago, saying that he would shake it up a little, bringing also a little Hollywood glamour with his actress wife, Natalie Portman. His arrival was controversial with many saying that his contemporary dance background was not suitable for a traditional company such as the POB. Now, according to Paris Match, he is finding the administrative requirements of the position too time consuming, castrating his future as a choreographer. Also, rumours are floating around Garnier’s gilt corridors that his wife is anxious to return to California. Whatever, 10 February should have been the date to announce the next season but Managing Director Stéphane Lissner, who does not confirm his departure, or deny it, has convened a press conference for 15 February at the Palais Garnier’s because, according to the Associated Foreign Press, he has ‘important things to say’. Millepied probably upset the boat during a Canal+ TV documentary before Christmas, saying that the company was in a rut, too attached to its strict hierarchical structure and not as “excellent” as it was purported to be. The irony cannot be lost when considering the appointment of Mauro Bigonzetti who has just been named head of Milan’s corps de ballet. Both men are contemporary dance choreographers moving from smaller scale companies to take over at national institutions with a predominantly classical repertoire. Lissner, of course, was at La Scala before taking over at Paris and appointing Millepied; just as Alexander Pereira has chosen Bigonzetti (against the will of his dancers) after little more than a year after taking over from Lissner in Milan. Bigonzetti and Millepied obviously have a desire to fulfil their ambition as artists, not as administrators, and the scale of these companies can never turn them into a Stuttgart or Zurich, or even the Aterballetto of Bigonzetti or the LA Dance Project of Millepied. The great Paris Opera Ballet dancer Laurent Hilaire was in the running when Millepied was chosen and came a close second to take over in Milan this week. Is it now his turn to come in first in Paris? I hope he’s leaving. I have seen his tendency to work in a very different line than the line of his predecesor. Les comètes vont et viennent, mais les étoiles continuent de briller. Millepied’s imminent departure is confirmed in today’s New York Times. It seems like the POB eats directors. Nureyev complained of the same problems 25 years ago. Millepied even though French born was said to be considered too American by the ballet establishment as well as too contemporary. Hmm…Millepied does have a classical ballet background. I have seen his choreography, and it certainly exhibits his background. However, I did not care for his “Daphnis et Chloe” and his new piece “Clear, Bright, Loud, Forward” (or whatever it is called since it was mostly done on a dark stage with two swinging lights overhead). His choice of Laura Hacquet to dance the opening night of “Theme and Variations” was a bad choice on his part. She was overparted. Don’t people sign multi-year contracts anymore? It’s all very odd. Yes, of course, most dancers have a classical background, and Millepied had a successful – short, but successful – classical dance career. It’s just that his administrative experience was with a small-scale contemporary company and his style is closer to Forsythe than that of Ratmansky or Wheeldon’s more ‘traditional’ approach. Forsythe had his Ballet Frankfurt etc, but POB seems to be far removed from these smaller-scale less traditional companies. ‘It’s all very odd’… you’re certainly right there! I can only surmise that he was hired because of the success of his wife in “that movie.” It takes a lot more to run a company, especially one like POB. I hope he has more satisfaction working in L.
A. with his company. In a way, he should have realized he wouldn’t fit in at POB from the beginning. Yes, the appointment is glamorous, but…. Actually I thought Millepied’s choreography was closer in style to Ratmansky, Wheeldon, and Liam Scarlett–more closely linked to the music. For me, Forsythe’s choreography, more often, seems independent of the music. In fact, I remember a piece of his whose music was totally changed at the last minute and the choreography remained the same. I think Forsythe has also relocated to the California coast. Anyway, I hope Aurelie Dupont, one of my favorite POB dancers, understands better the running of a megalithic corporation.